Worried scientists say Bennu, which has a diameter of more than 500 metres, would unleash 1,200 megatons of energy on impact - 80,000 times that of the Hiroshima bomb. 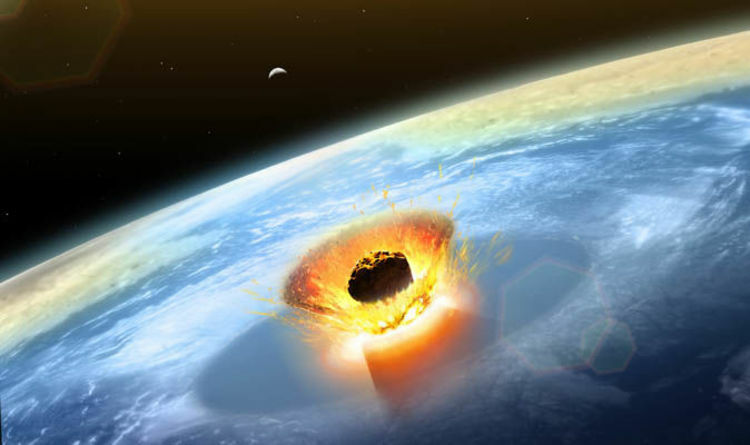 A US ‘national planetary defence team’ has published a study warning of the devastating consequence posed by the asteroid, which has a 1 in 2,700 chance of hitting Earth. Kirsten Howley, a physicist at Lawrence Livermore National Laboratory and co-author on the paper, said: “The chance of an impact appears slim now, but the consequences would be dire. “This study aims to help us shorten the response timeline when we do see a clear and present danger so we can have more options to deflect it. Where is Asteroid 2135? When will the asteroid hit Earth? Bennu, which is hurtling through space at an average speed of 63,000mph, is currently on an orbit of the sun, which it circles every 1.2 years. At the time of its discovery on September 11, 1999, Bennu was about 2.2 million kilometres (1.4 million miles) from the Earth. Right now, a spacecraft called OSIRIS-REx is heading towards Bennu with the mission of returning a sample of its surface as well as helping to map the asteroid’s path. According to asteroidmission.org, on March 12, 2018, the spacecraft was 57,654,395km from Earth and 24,768,754km from Bennu. On its current path, Bennu could hit us in 2135. How will scientists stop the asteroid? NASA is working on its Hypervelocity Asteroid Mitigation Mission for Emergency Response vehicle - or HAMMER - which is designed to blow up asteroids using nuclear weapons, or steer the space rocks clear. But the US scientists have said the nine metres tall craft is “inadequate” and lacks the power to deflect the asteroid away. A new study reads: “Using a single HAMMER spacecraft as a battering ram would prove inadequate for deflecting an object like Bennu”. This leaves the worst-case scenario of nuclear weapons as the final option which is also ruled out as this would then cause radioactive debris to rain down on Earth. The study said it would take a minimum of 7.4 years to reach Bennu if the decision was made to send a craft and "many years for the small change in speed to accumulate into a sufficient change in trajectory". A series of options for asteroid-diverting systems will be presented at the 9th Workshop on Catastrophic Disruption in the Solar System (CD9) in Japan in May.